From eye exams and specialty eyewear fittings, to dry eye treatment and low vision management, our optometrists provide comprehensive eye care to patients of all ages. We also treat a range of conditions such as glaucoma, the diabetic eye, dry eye and macular degeneration. Eye care doesn't just stop at our door. Your eyes and how you feel about yourself are important to us and our opticians. Taking care of your eyes with regular checkups and proper contact lenses handling and usage are just a few of the things that you can do to make sure you can see well and look great! Schedule an appointment with our eye doctors at TSO Pasadena to see how we can help you get the best prescription for your eyes. 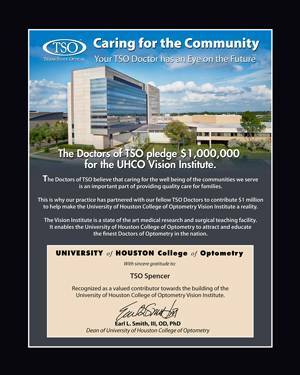 TSO Spencer eye doctors treat children of all ages in Pasadena, TX. Custom kid friendly eye exams, myopia control, & stylish kids frames. TSO Spencer's specialized diabetic eye exam detects any diabetes related vision problems minimizing risks to your vision. Schedule today in nearby Pasadena. TSO Spencer optometrists treat eye emergencies in nearby Pasadena, TX. Please walk in with red eyes, pink eye, or scratched & swollen eyes for immediate attention. Dr. Molina is very kind. She was very patient with my daughter who is getting contacts for the first time. All the staff is very kind and helpful and always greet you with a smile! This place has always been my Go-To for glasses! The customer service here is the BEST, they're always friendly and very helpful which is what's important to make a customer feel welcomed. Ask for Rocsana! I am very well pleased. This is the third doctor I went to finally get my prescription right. I believe Dr. Tran nailed it right. I am so happy to see I have perfect health in my eyes. It makes me please. I definitely recommend this place. The wait time is not bad. Everything went by pretty smooth so If anyone needs a place. I come back then. Took my daughter in for a checkup. Great staff and Dr. Tran was very thorough. He explained everything and even taught me and my kids a few extra things about eyes and how they work! Great experience and my daughter can't wait to get her new glasses! Thanks Dr. Tran and staff!!! Even when their system was down they managed too help out and get. "i was trying to book an apointment so i called that number to see if my medicaid was accepted and they were very helpful , i really love the customer / phone call service they give so a very big thumbs up :}"
"Can’t think of any way they could be better! My appointment was very pleasant, the staff was amazingly helpful and kind. I will definitely be returning." 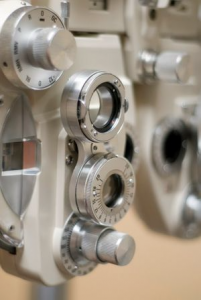 "The staff & optometrist were very pleasant & nice. Very good first appointment." "I have taken my children here recently I have had the best experience here and my boys felt very comfortable here and love the selections of glasses,thank you 🙂 TSO Staff "
"I have been coming here to this location for over 3 years and every time all the staff have been very nice and Dr. James Mikkelsen makes every visit very comfortable for me. They have always been very attentive and the place is very clean. "